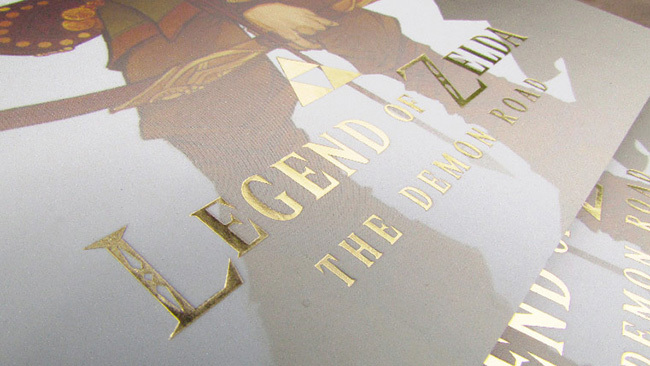 The Legend Of Zelda: The Demon Road | News Archives - Chapter 1 Printed Book Available! » Chapter 1 Printed Book Available! Chapter 1 Printed Book Available! Hey guys! I'm super excited to say that we've finally managed to save up to be able to do a small run of chapter 1! 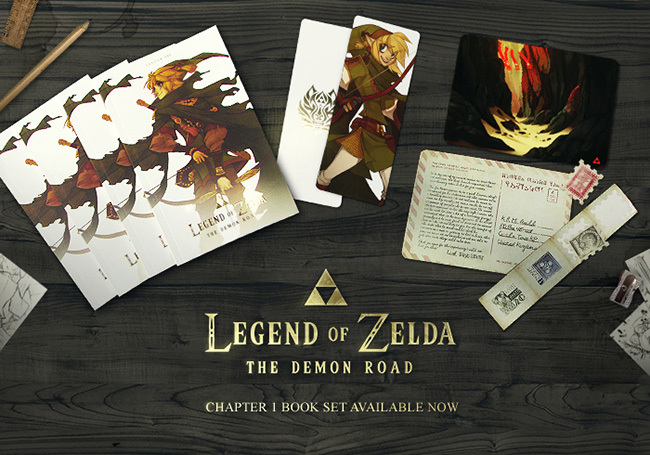 It includes some swank stuff covered in velvet soft touch finish and gold foil and includes bookmarks, postcards and sticker sets! Basically everything you see in the picture above. You can check out more photos and get more information about the package by clicking the link above!